The central government set itself a target of adding 88,000 MW power capacity by the year 2017, in order to address the acute shortage go power supply in several states in the country. In the next five years, Nuclear power is set to contribute about 5,300 MW to the total capacity addition in the country. India currently has a power generation capacity of 200,000 MW which is not meeting the requirement. According to the Wholesale Price Inflation (WPI) data released by the Ministry of Commerce and Industry on 16 July 2012, India’s headline inflation in the month of June 2012 slowed to 7.25 percent, marking the lowest in the last five months. The inflation figure stood at 7.55 per cent in May 2012, while at 9.51 percent during the corresponding month of 2011. Bollywood evergreen superstar Rajesh Khanna passed away. Rajesh Khanna, who was fondly called Kaka by his fans, is considered to be the first superstar of Indian cinema. Aradhna, Anand, Kati Patang, Dushman, Bawarchi, Amar Prem, Hathi Mere Saathi, Hum dono and Aag are few of his movies which earned him both the praise of critics and commercial success at the same time. Union Government of India unveiled the 5.4 billion dollar free drug policy. Under the new policy, every citizen of the country will be provided free medicines in all public health centres spreaded across the country. The patients will be given only generic drugs. The policy which will remain effective over the next five years will provide a much needed support to nearly 40 percent people of the country, which spends 1.25 dollar or less a day on health. The new free drug policy marks the first of its kind endeavour by the government of India to address the grim health services condition in the country. India spends about 1.2 percent of its annual GDP on health, making it a country with least spending on public health services. The country also has a high infant mortality rate as 66 of per 1000 children die before the age of 5, compared with 19 in China and 21 in Brazil. If the report of Organisation for Economic Co-operation to be believed, only seven countries in the world have got their public health expenditure less than India in terms of GDP percentage. 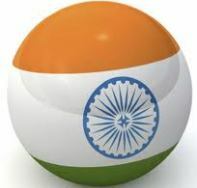 This post contains the Indian current affairs of July 2012. These are short current affairs 2012 notes for quick review.